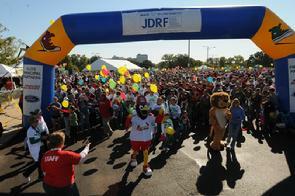 At a sporting event, community fair, or school campus, a run-through or a game makes the day more fun! 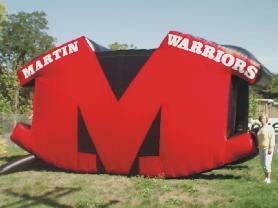 We make all of these sport inflatables in your choice of basic color and with lettering or a logo. Removable banners let you pay for it all with sponsors! Inflatable displays show team spirit. 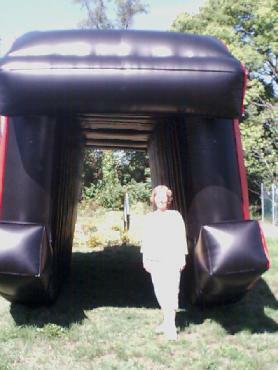 Giant inflatable sports displays can be set up at a stadium, in an open field or in a parking lot. Banners with the names of your sponsors can be displayed and then changed for each event. Call us to ask about your team helmet or tunnel run-through, ball toss, arch, mascot or logo display.